Calvin College Refugee and Immigration Collaborative From back row left: Elvis Garcia Callejas, Amanda Benckhuysen, Ambassador William J. Garvelink, William Katerberg, Tim Baldwin, Michelle Loyd-Paige Front row: Pennylyn Dykstra-Pruim, Anh Vu Sawyer, Stacey Wieland,Sarah Yore-Van Oosterhout, Esq., Ahee Kim Not pictured: Rev. Kate Kooyman and Kate McLain. Photo Courtesy Ahee Kim. He defends the cause of the fatherless and the widow, and loves the foreigner residing among you, giving them food and clothing. And you are to love those who are foreigners, for you yourselves were foreigners in Egypt (Deuteronomy 10:18-19). According to the United Nations High Commissioners for Refugees, a refugee is “someone who has been forced to flee his or her country because of persecution, war, or violence. A refugee has a well-founded fear of persecution for reasons of race, religion, nationality, political opinion or membership in a particular social group.” The process of being granted refugee status can take generations in refugee camps, where people are exposed to poor sanitary condition, minimal education opportunities and recruitment by military or rebel groups. Currently, there are an estimated 65.5 million people who are forcibly displaced worldwide, 22.5 million are refugees and the average stay in some of the biggest refugee camps is 17 years. In addition to refugees, internally displaced people, unaccompanied and separated youths and undocumented immigrants are seeking security in new homes. While the number of displaced persons is on the rise, there remains little policy reform and lack of discussion about related hospitality in our communities and churches. Recent and current headlines and media surrounding immigration issues make some people angry, others afraid and still others confused. 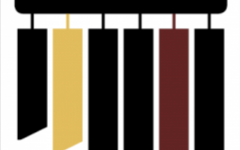 For such a time as this, Calvin College with support from the Calvin Center for Christian Scholarship and the Calvin Alumni Association created the Calvin College Refugee and Immigration Collaborative. According to Pennylyn Dykstra-Pruim, “This collaborative seeks to name the fears, put faces and stories with the statistics and help us understand the Biblical call to care about and for refugees and immigrants.” Caring for the stranger, or foreigner, is a theme throughout Scripture and God consistently shows his love for the vulnerable and marginalized. As Christians, we should be engaged in discussion and called to action. Refugees and immigrants need to be near to our hearts. 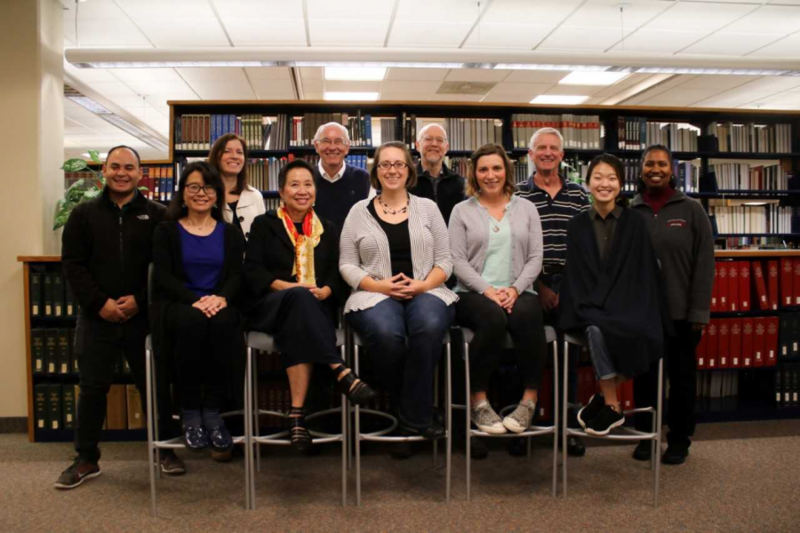 This working group is comprised of five current Calvin faculty, six Calvin alumni and two student assistants who are involved in various organizations and ministries with refugees, immigrants and other cultures. The collaborative had weekend summit meetings in October and February and plans to meet again in June. As the group is nearing the end of their study, they hope to create spaces for good dialogue and learning in communities and churches, as well as publish a variety of materials on refugee and immigration issues. If you are interested in learning more, contact Susan Buist ([email protected]), Penny Dykstra-Pruim ([email protected]) or Tim Baldwin ([email protected]) . Check out the information and resources through the CRCNA Office of Social Justice (http://justice.crcna.org/immigration). Consider hosting the OSJ’s interactive workshop “Church Between Borders,” which educates and engages immigration from Christian perspectives. Get involved and support local organizations that are empowering immigrants and refugees. In West Michigan, there are great organizations like the Treetops Collective, Lighthouse Immigrant Advocates and Bethany Christian Services. Volunteer by teaching for English as Second Language Learners or assisting with transportation needs for our community’s recent immigrants.